WHAT: Pedals, Podiums, Power & Passion free panel on women’s cycling and empowerment. WHEN: 4 p.m. on Saturday, Aug. 18 (immediately following the Colorado Classic Stage 3 post-race press conference). WHO: Coach and former pro cyclist Janel Holcomb moderates as Olympic cyclists Mara Abbott and Mari Holden, teenage champion Petra Schmidtmann, Lieutenant Governor Donna Lynne and women’s rights activist Shannon Galpin weigh in on the ups and downs of life on the bike. MORE: Courtesy of Velorama, Bicycle Colorado, PRIMAL, team estrogen and FLEXENTIAL registration for Pedals Podiums Power & Passion is free but space is limited. The first to register receive admission to the panel, one drink ticket for Bierstadt Lagerhaus and a ticket to the Velorama Music Festival Aug. 18 or Aug. 19.  The panel coincides with the 2018 Colorado Classic, which runs Aug. 16-19featuring 15 world-class men’s teams and 16 world-class women’s teams competing in a four-stage race through some of Colorado's most scenic and demanding terrain.